New! Human recombinant SAA1 and SAA2: major acute phase proteins of inflammation. 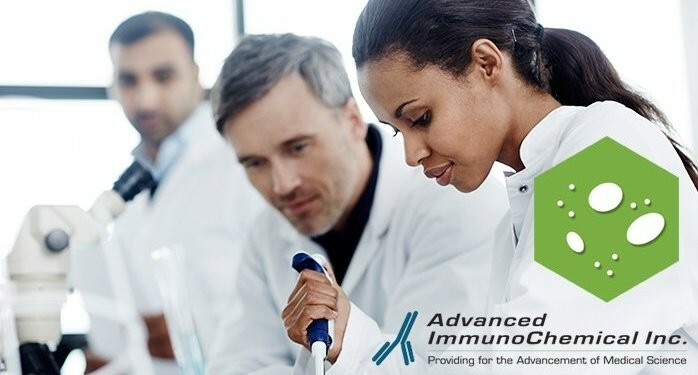 - Advanced ImmunoChemical Inc.Advanced ImmunoChemical Inc.
Home » Article » New! Human recombinant SAA1 and SAA2: major acute phase proteins of inflammation. Serum amyloid A (SAA) is often used as a non-specific marker of inflammation. Its concentration in blood increases in response to inflammatory stimulus such as tissue injury, infection or trauma. SAA proteins are encoded by four different genes, SAA1-SAA4. In human beings, SAA1 and SAA2 belong to the group of major acute phase proteins similarly to C-reactive protein. SAA4 is constitutively expressed and the gene encoding for SAA3 is considered to be a pseudogene. SAA1 and SAA2 proteins are highly homologous. Their sequence identity is over 92 %. Here at Advanced ImmunoChemical, Inc., we now provide both SAA1 and SAA2 as recombinant antigens. The antigens do not contain any affinity tags. They have been expressed in E. coli and purified under non-denaturing conditions to homogeneity (see Figure 1). The purity of the proteins exceeds 95%. Both recombinant antigens could be used as calibrators or standards in SAA immunoassays (see Figure 2). Figure 1. Tricine-SDS-PAGE of purified SAA1 and SAA2 (5 μg/lane) under reducing conditions. Gels were stained using SYPRO Ruby. Figure 2. The calibration curves with recombinant SAA1 and SAA2 as antigens for VSA25-VSA31 assay.